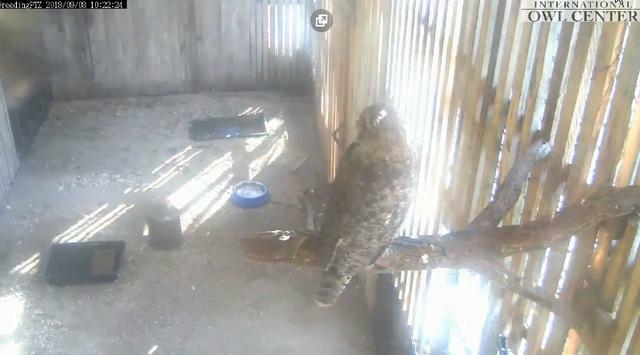 This may be news of Zephyr's fledge this morning. He has not been seen on cam for 5 hours now. 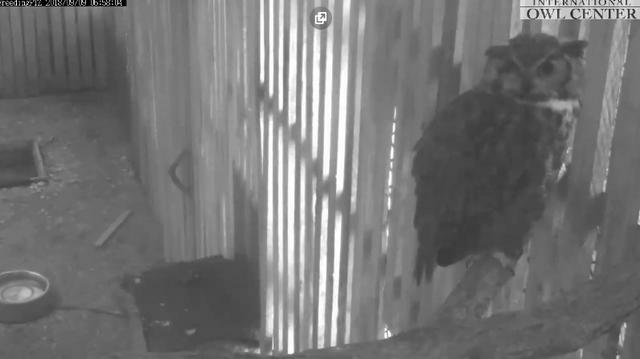 Tried to copy DRI's post, but will not paste. 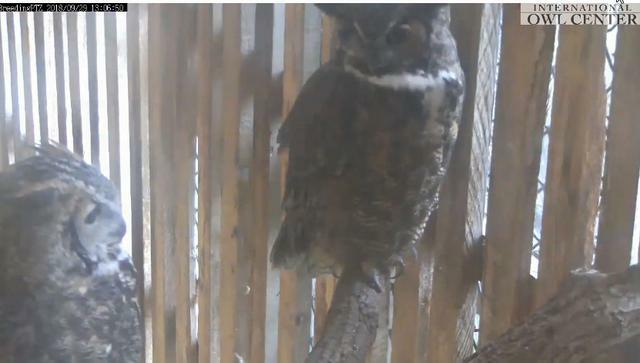 They just put 2 messages on chat essentially saying the following. 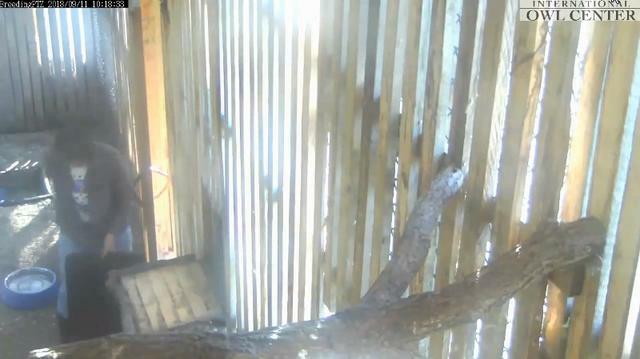 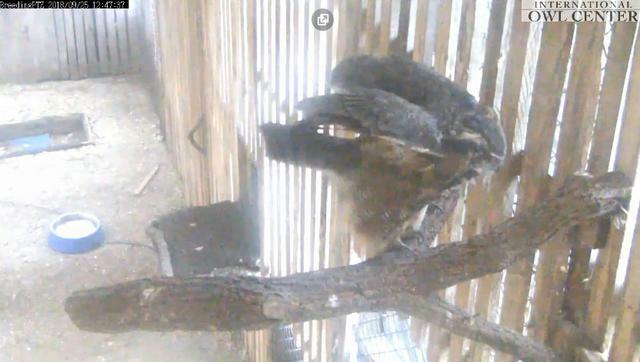 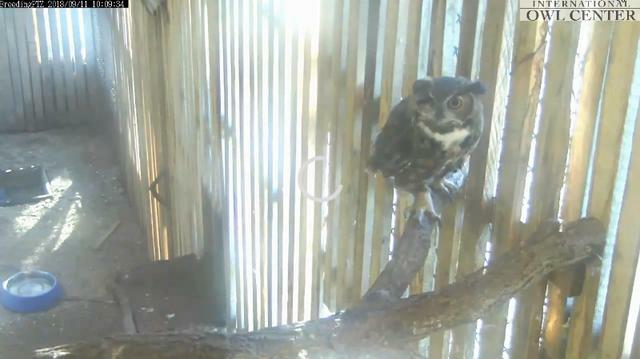 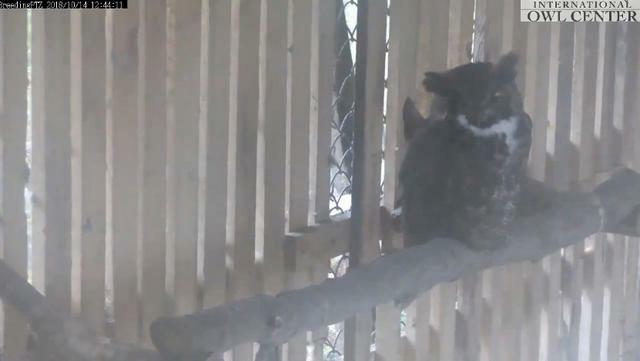 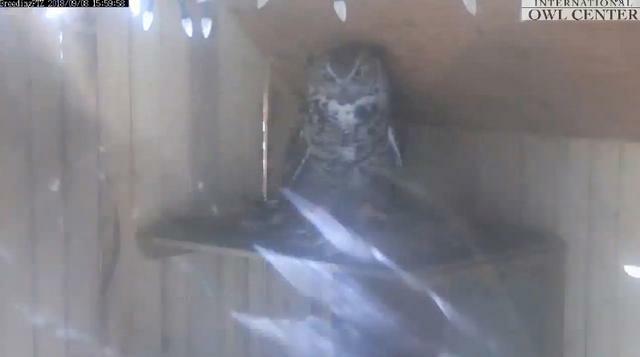 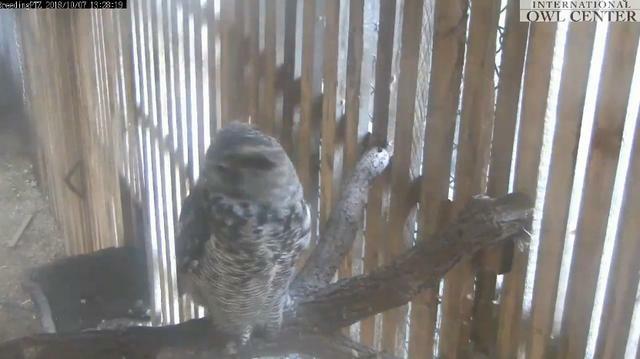 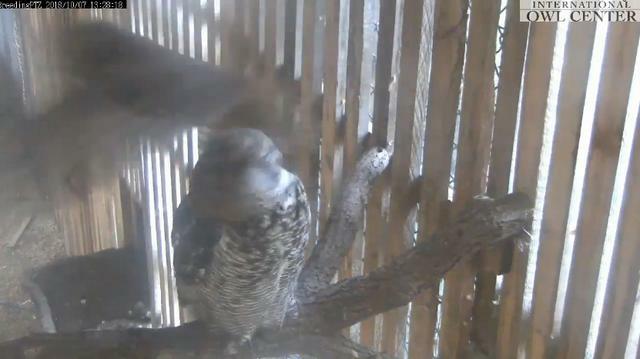 They are working with NDOW to give an update on the owlets who are both doing well right now. 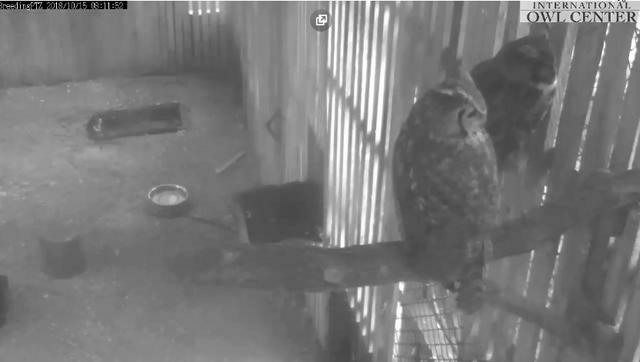 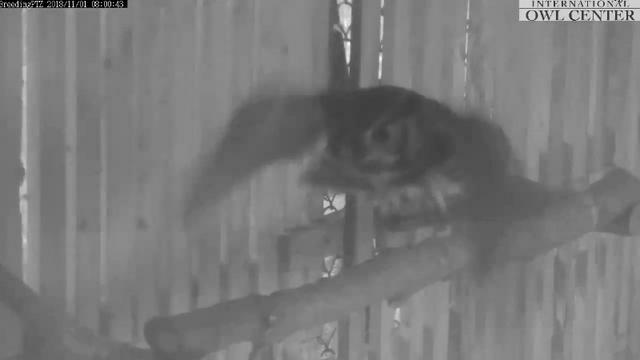 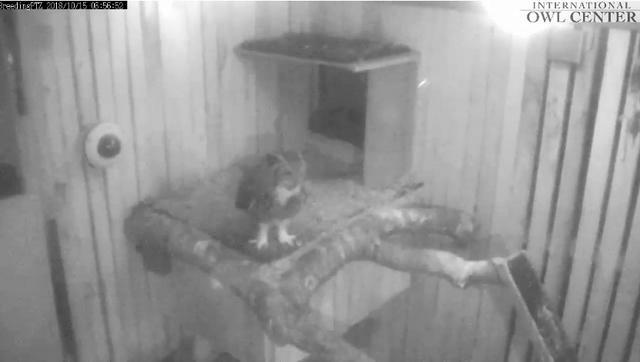 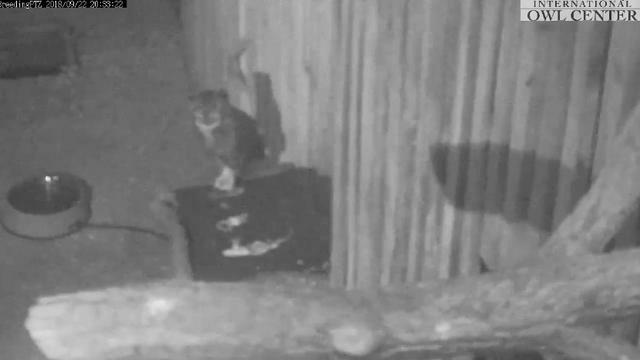 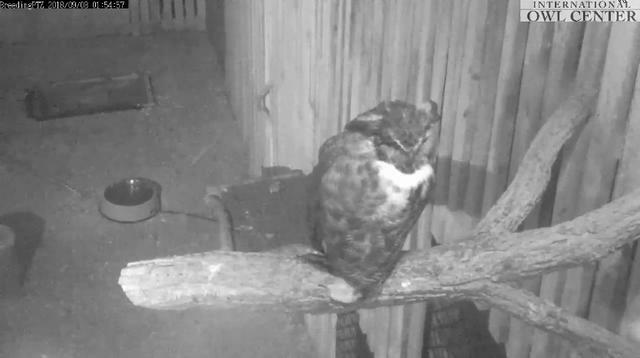 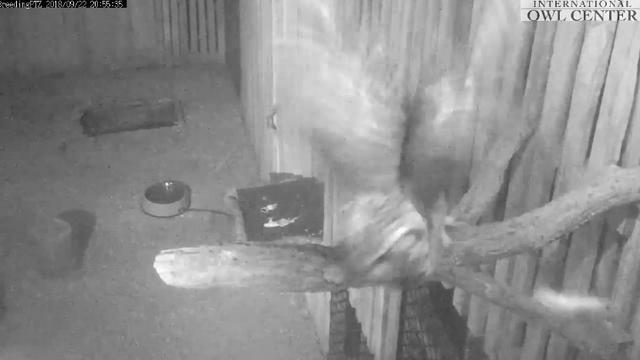 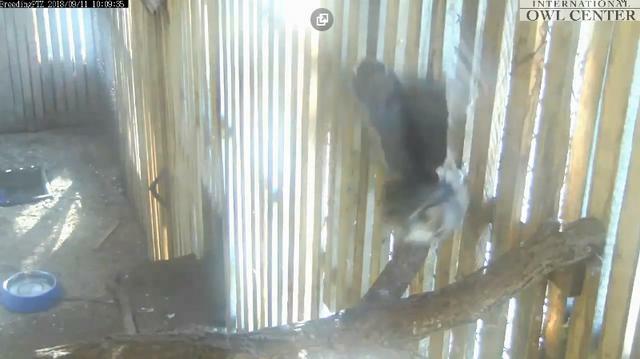 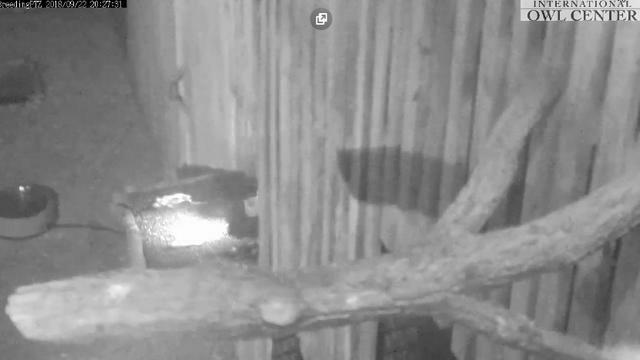 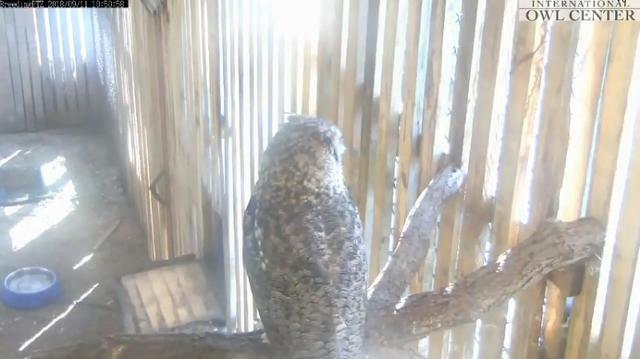 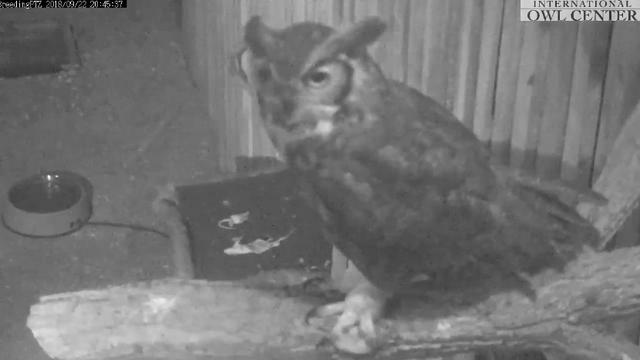 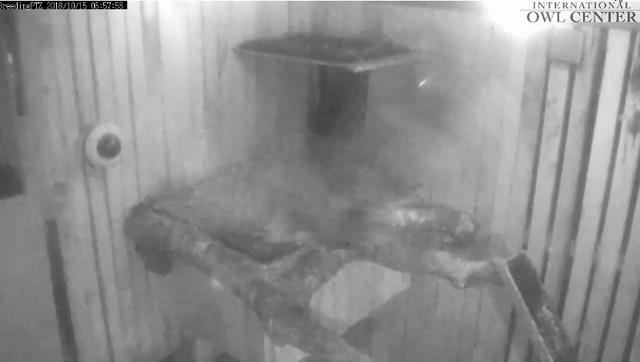 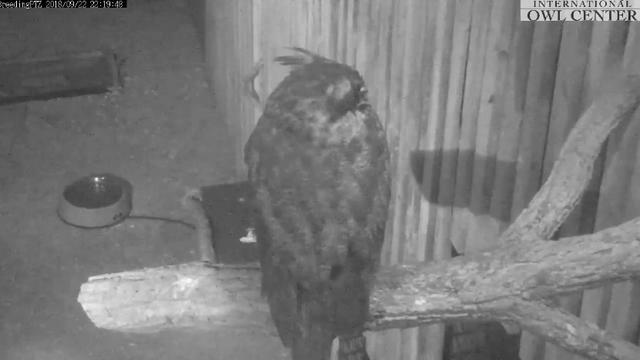 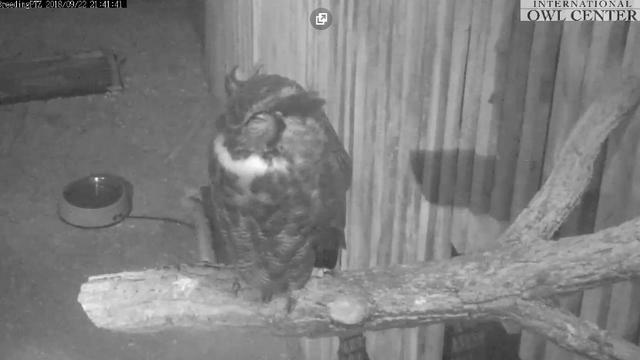 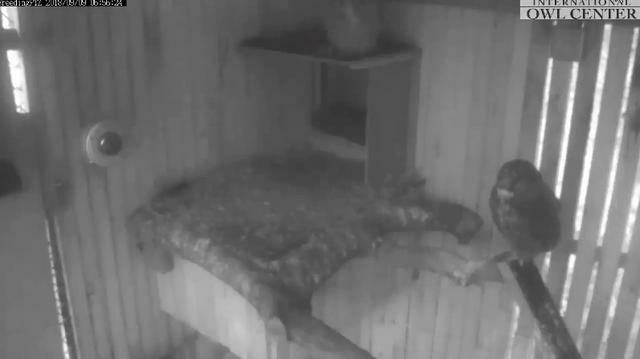 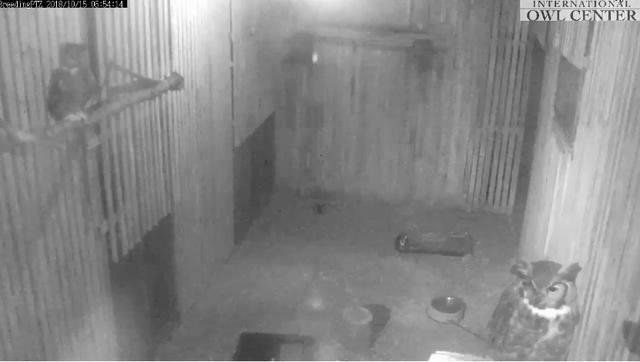 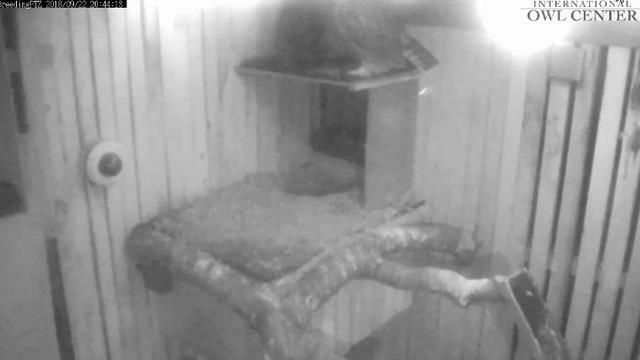 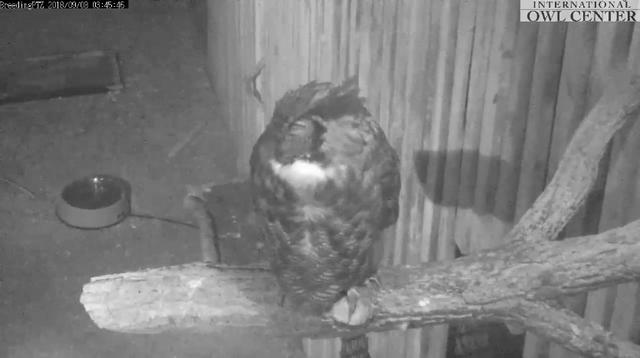 Then, they go on to explain the cams will stop, once owls have left the nest. 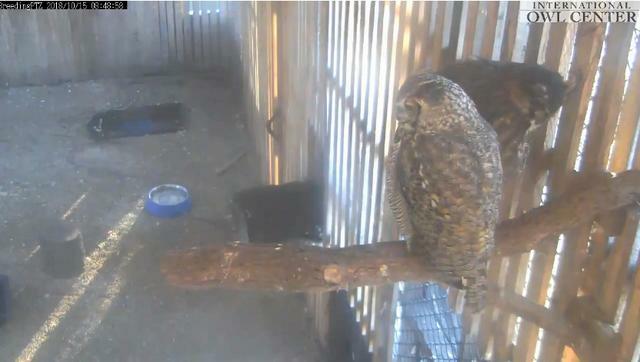 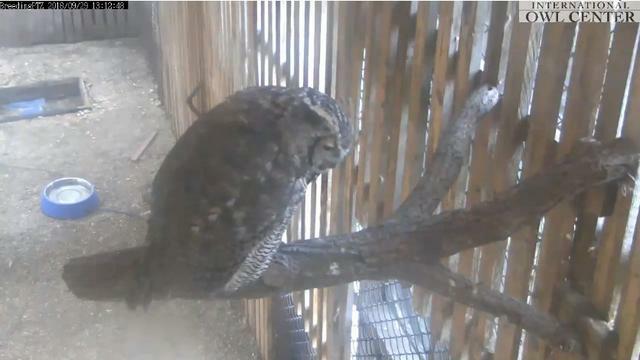 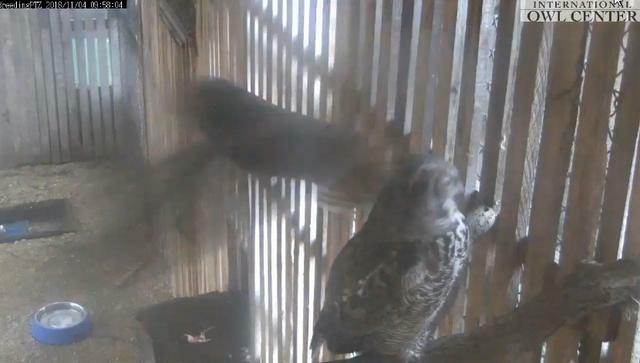 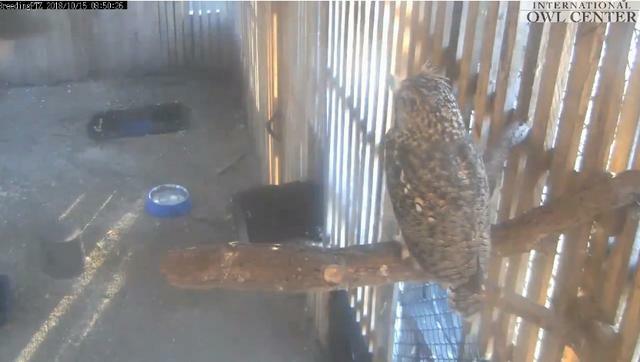 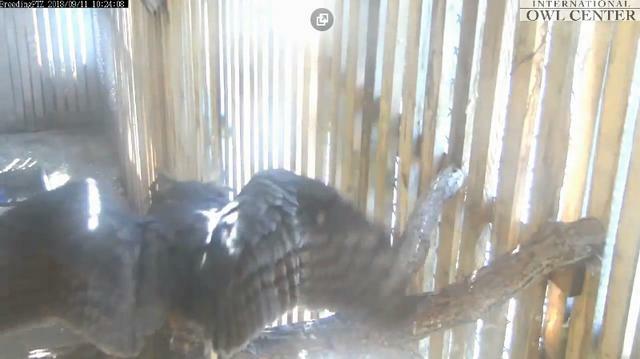 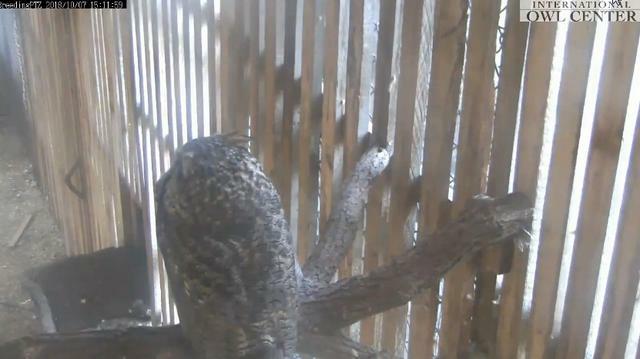 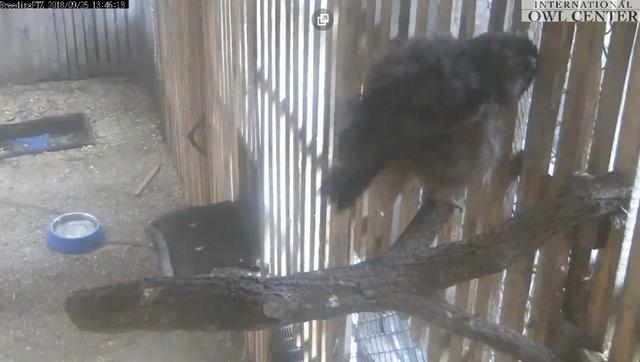 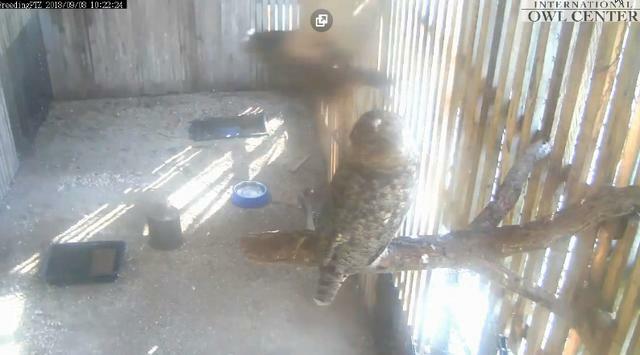 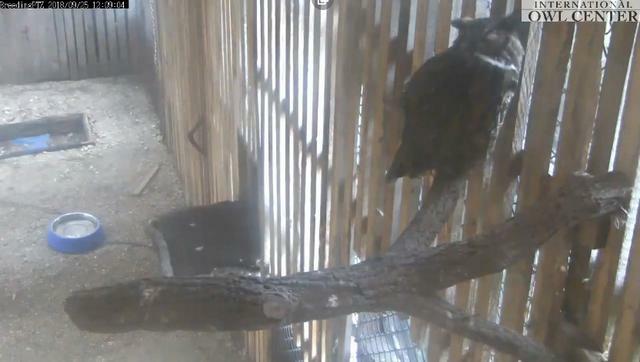 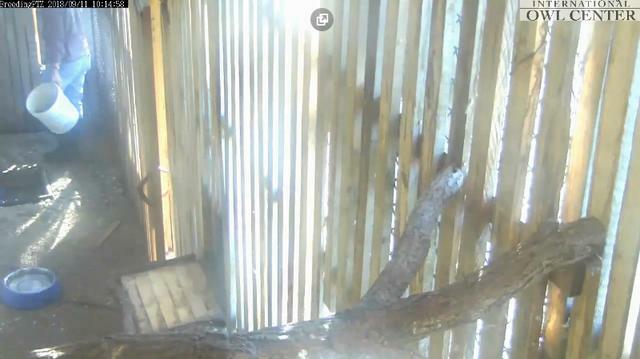 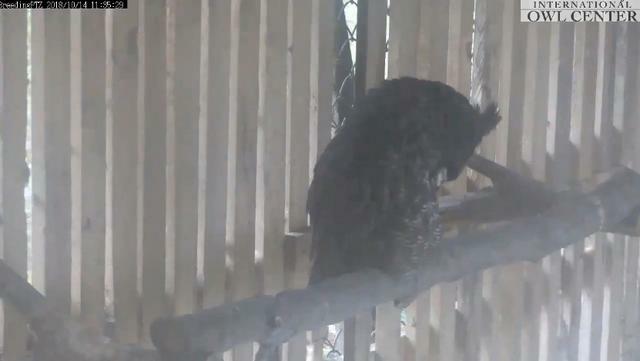 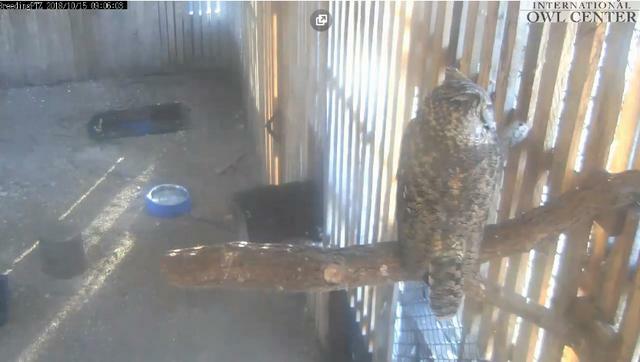 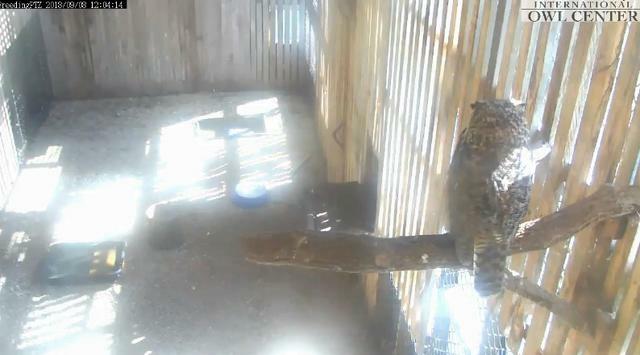 If this is it, I woke up early this morning, 3:00 their time and did get to see Zephyr live on cam and since last seen. 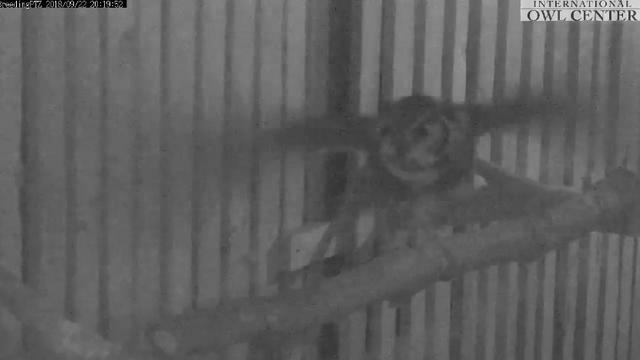 Also, saw the continued shenanigans with Jina on the DVR through the night. 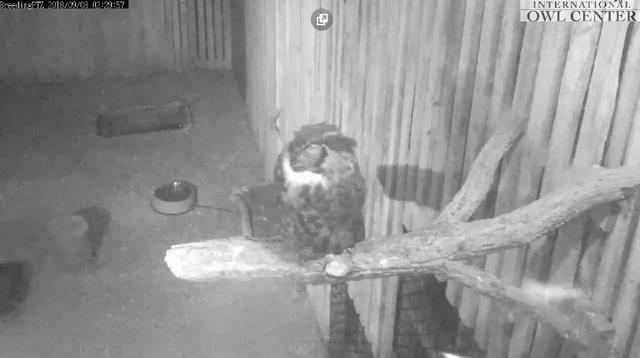 At the time, I was irritated I woke up 2-3 hours earlier than planned. 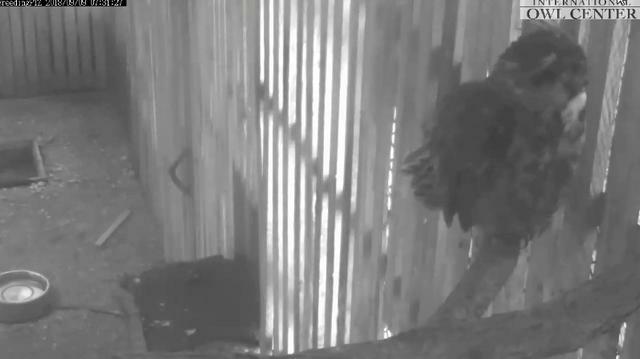 But, not now!! 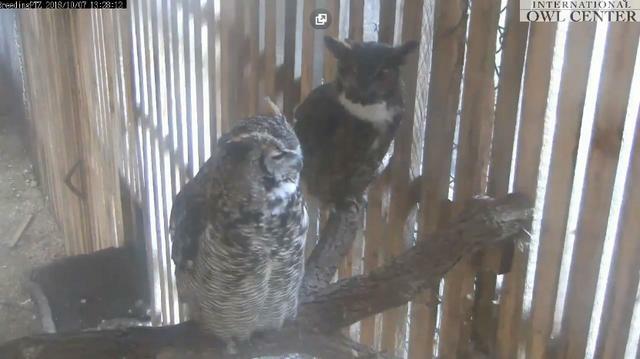 Okay, they decided to make it official after "confirming" with the NDOW. 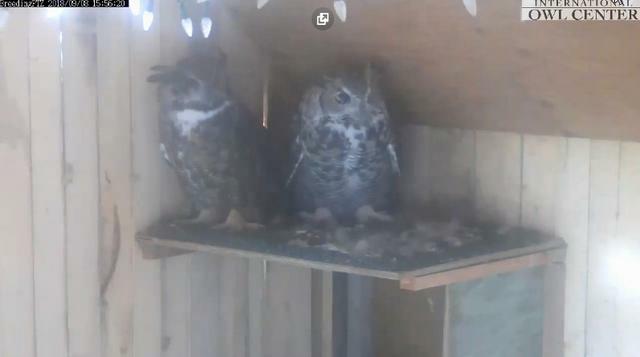 Both owlets are off the nest. 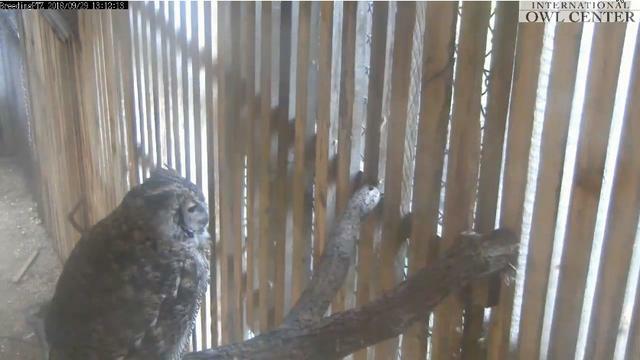 ZEPHYR HAS FLEDGED!! 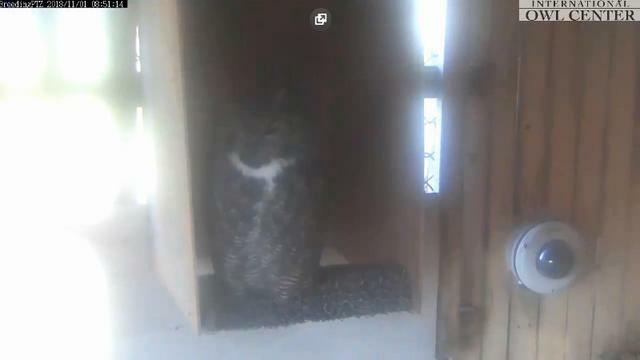 There will be an update later today! 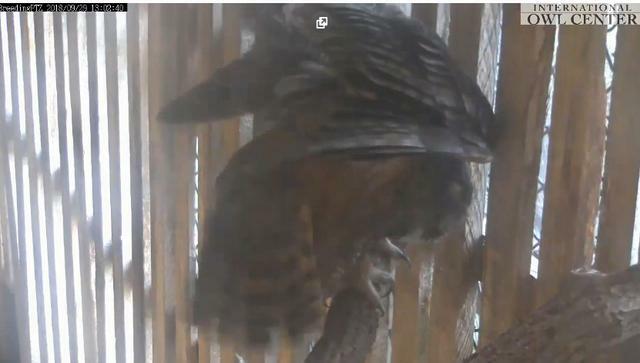 This means the cam and chat will end shortly. 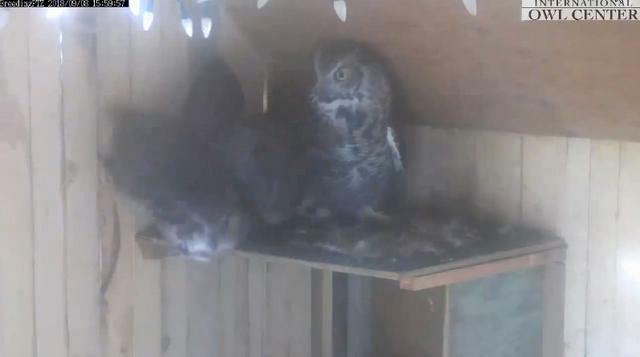 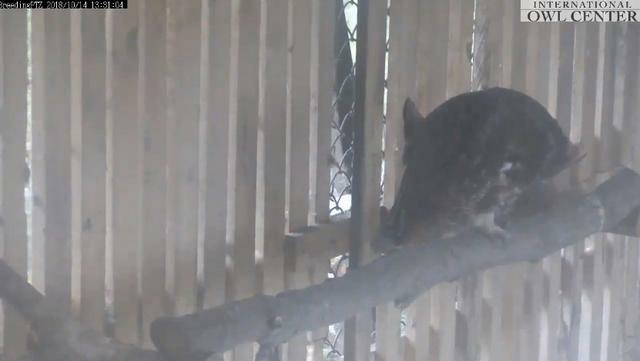 For those following along with the great horned owls that have been living at our Reno campus this spring: both young owls have left the nest and are doing great! 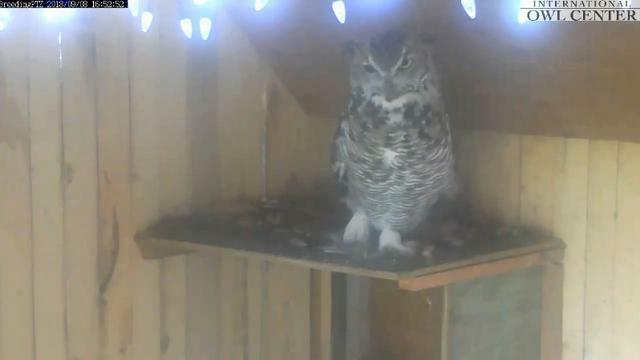 Both owls have been observed eating well, and the parents are still active in the area and engaging with the owlets frequently. 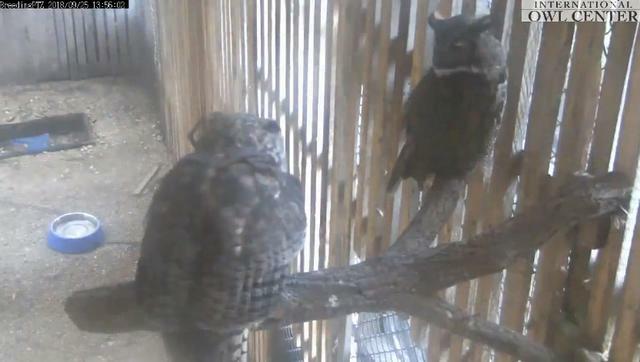 Because the owls will begin to travel further and further away from the nest each day, DRI and the Nevada Department of Wildlife will not be able to observe them, nor can we track them to provide continued updates. 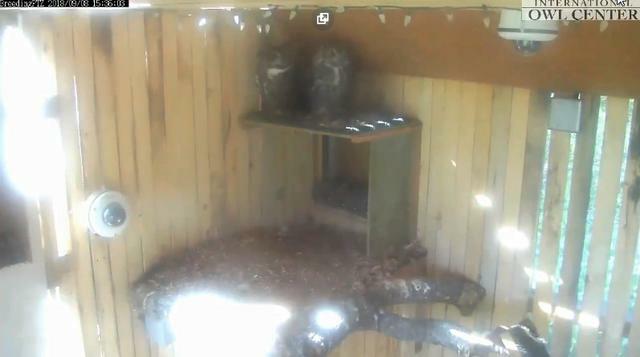 This will serve as our final owl update, and the YouTube nest cam feed will be turned off shortly. 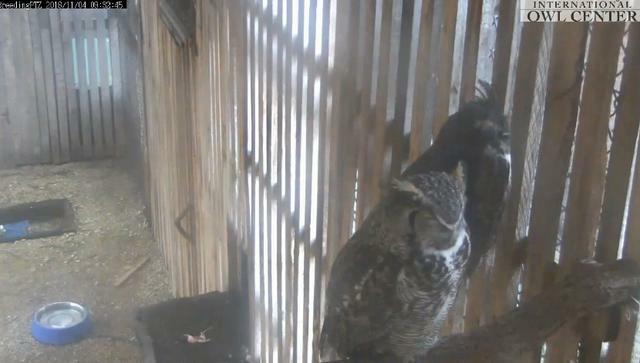 It has been incredible to observe this phenomenon up close, and we would like thank everyone at DRI and NDOW who made this live camera possible. 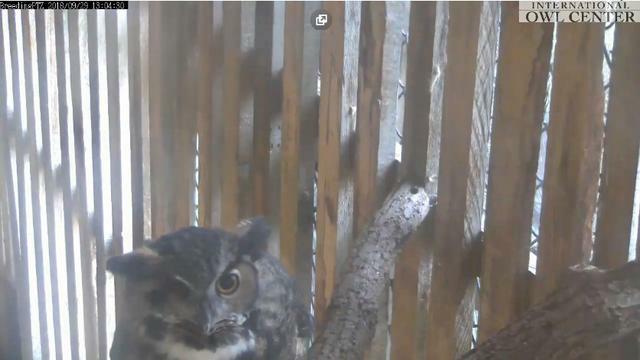 If this experience has inspired you, we encourage you to check out the Audubon Society’s Bird Cams page at https://www.audubon.org/birdcams for more live nest feeds! 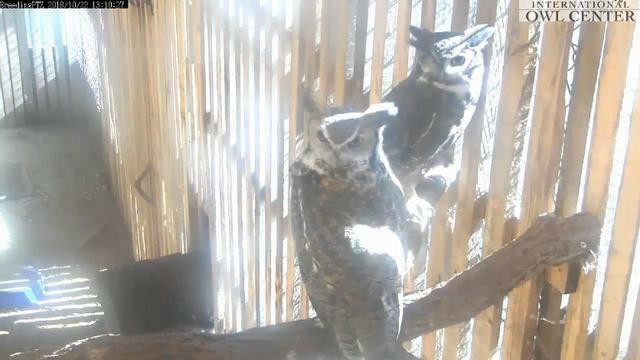 Courtesy of Desert Research Institute Facebook Page. 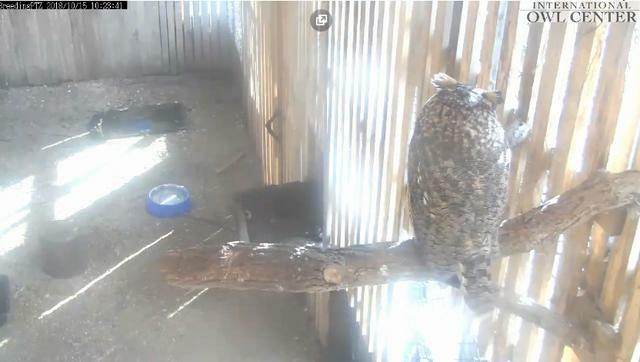 I guess we will never know for sure if Zephyr actually fledged, jumped, fell ... 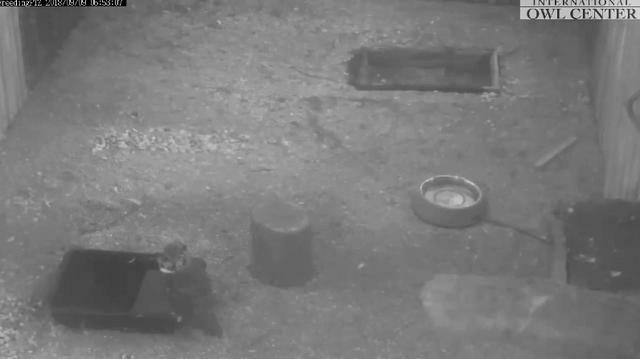 But, I am sure happy he is safe and sound and reunited with his whole family!! 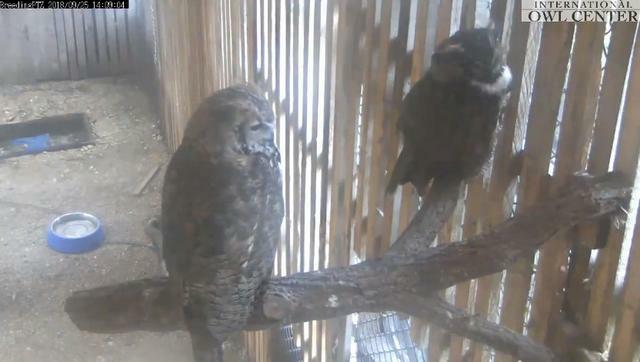 It is unlikely, but somehow I hope we do hear more of this beloved owl family. 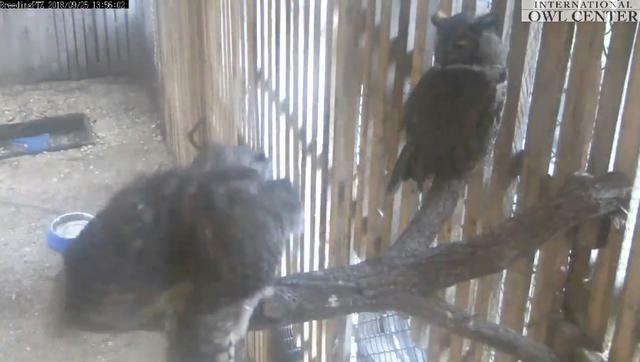 Hoping for the best owl lives possible to: Jina, Aries, Sienna, Washoe and Zephyr!! 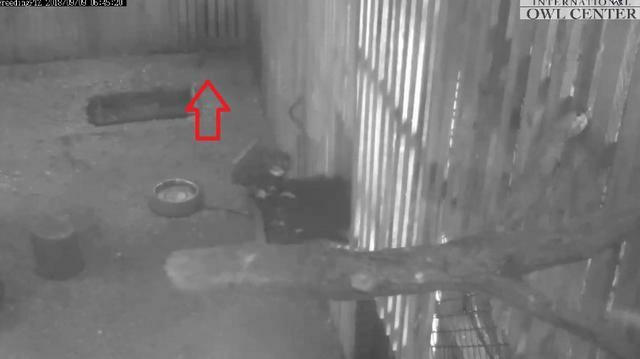 09/09 6.44 am Rusty has breakfast later a drink. 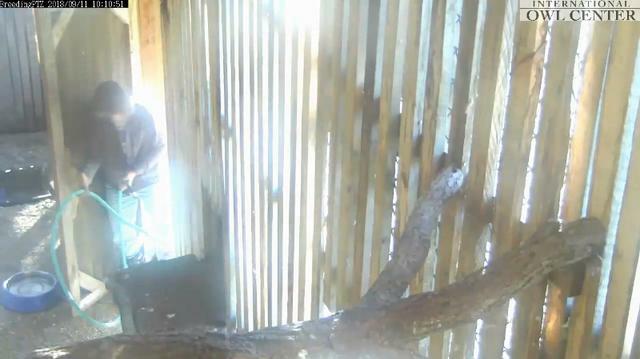 09/11 10.09 am Cleaning service. 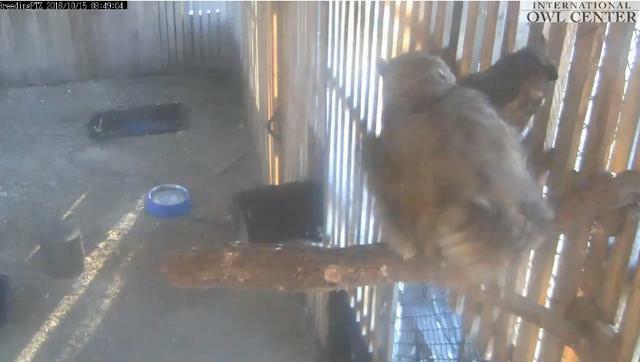 I emailed this facility, since I haven't seen the kids on cam. 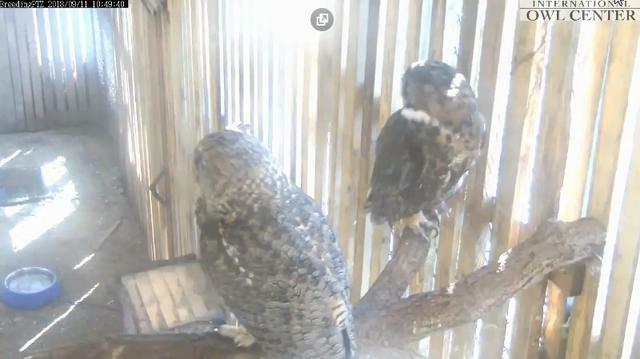 They replied that Rupert, Sheldon, and Sequoia were all moved to another facility this past summer. 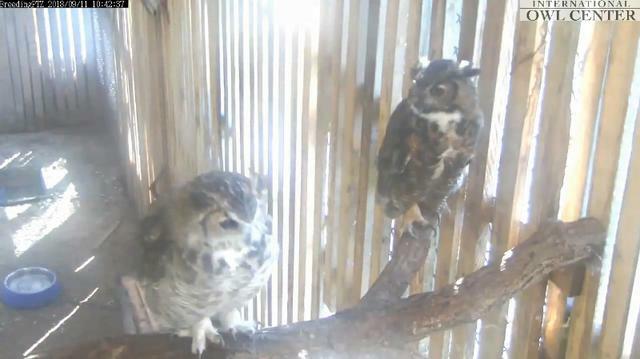 Rusty and Iris have been retired from raising more owlets, as child-rearing has proven to be too stressful for Rusty as he gets older. 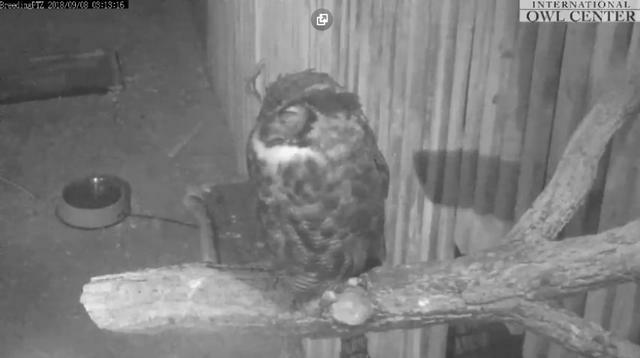 He still loves his Iris though. 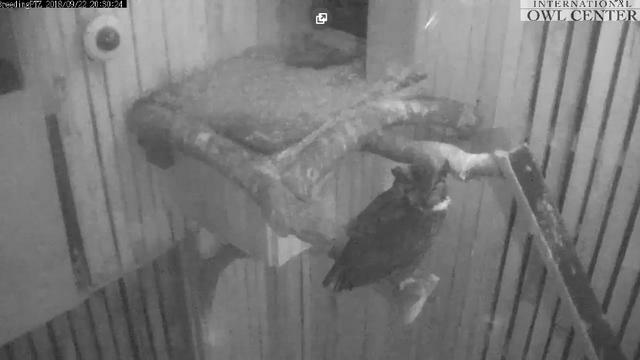 There was lots of hooting by those two the other night and they still love perching next to each other. 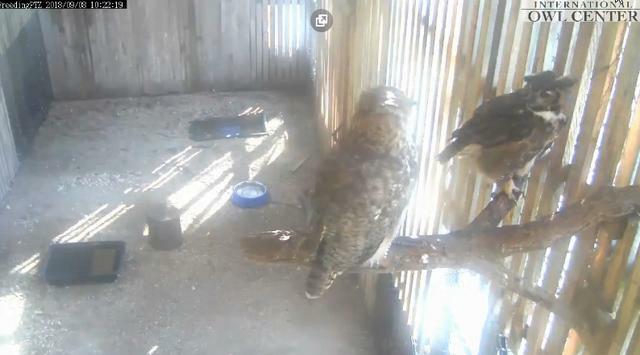 Instinct, they do not know that people will replace their eggs again, they will not be young.